Capacitance method for measuring the level of a fluid. 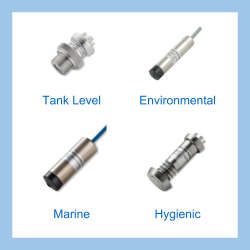 Capacitive fluid level sensors are measurement devices which typically consist of a single probe which acts as an immersed electrode inside a tank. This probe interacts with an opposite electrode, usually the wall of a tank, and the two are connected together to form a capacitor. The fluid contents of the tank act as the dielectric medium, which will affect the capacitance created between the two electrodes. 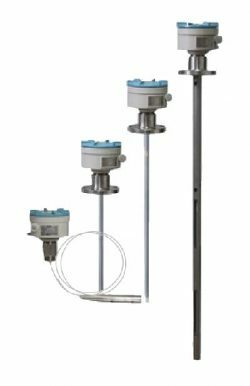 If the fluid level rises and falls, this will change the capacitance measured by the probe in a predictable way, and therefore it can be used very effectively as a measurement of fluid level. Browse other help pages associated with the same topic group as this Capacitive Fluid Level Measurement page. Send us your enquiry for a product associated with this Capacitive Fluid Level Measurement page, and get assistance with selecting a product for your application.